DALLAS PRNewswire— Brinker International, Inc. (NYSE: EAT), today announced Steve Provost has been named executive vice president and chief marketing and innovation officer of Chili’s® Grill & Bar. In this role, Provost will lead the brand’s consumer insights, culinary innovation and marketing teams. 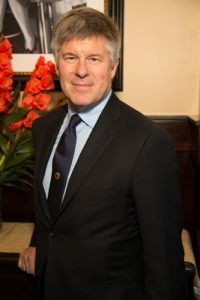 Provost joined the Brinker family in 2009 as senior vice president of marketing for Maggiano’s Little Italy® and later that year transitioned to serve as brand president. In the past eight years, Maggiano’s drove 23 consecutive quarters of sales growth, opened new, more efficient restaurants, more than doubled profitability and increased financial returns to the highest level in the brand’s history. In its 25th year, Maggiano’s continues to be recognized for its differentiated dining experience with awards like America’s top five favorite chain restaurant and America’s favorite place for special occasions from Technomic and the number one most allergy-friendly large chain from AllergyEats. Prior to Brinker, Provost held various marketing positions as executive vice president and chief marketing officer of Quiznos®, senior vice president of franchising and vice president of marketing for Kentucky Fried Chicken® and chief marketing and innovation officer for Long John Silver’s and A&W brands. As Provost transitions, the Maggiano’s brand will be co-led by Vice Presidents, Genifer Gray and Larry Konecny, who have been promoted to chief operations officer and vice president and chief concept officer, respectively. Gray and Konecny have progressed through various leadership positions with the brand over the past 15 years, most recently leading the development and successful launch of the biggest menu change in the brand’s 25-year history.